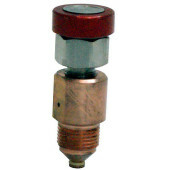 Prevents over-pressurization of waterblasting systems using inexpensive and easily replaceable discs manufactured to burst at predetermined pressures. 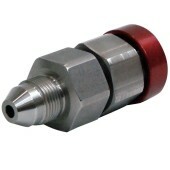 For operating pressures up to 20,000 psi (1400 bar). 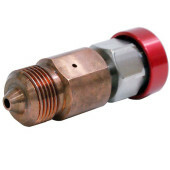 9/16″MP Male connection. 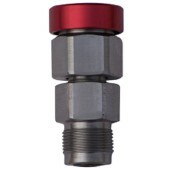 Prevents over-pressurization of waterblasting systems using inexpensive and easily replaceable discs manufactured to burst at predetermined pressures. 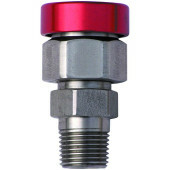 For operating pressures up to 40,000 psi (2750 bar). 9/16″HP Male connection.